He’s here! I can’t believe how quickly life can be changed in the biggest way. That’s exactly what happened the moment we laid eyes on our baby boy. 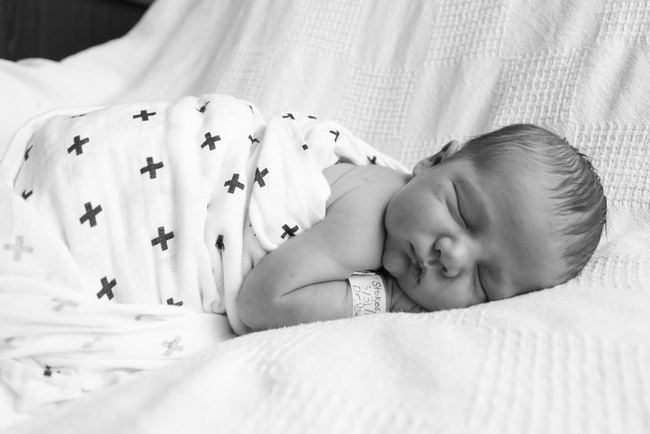 Leading up to his birth, the house was cleaned, the drawers organized, every sweet baby outfit was washed and hung neatly on the tiniest of hangers—we were ready for our baby. But the truth is, I don’t think any mom could possibly be completely prepared for having a baby. Especially a new mom who is in this for the first time and doesn’t understand how your heart is completely ripped out of your body and wrapped around that bundle of joy the second he or she is born. I thought I was, but I surely wasn’t! His name is Watson Stafford Stokes. 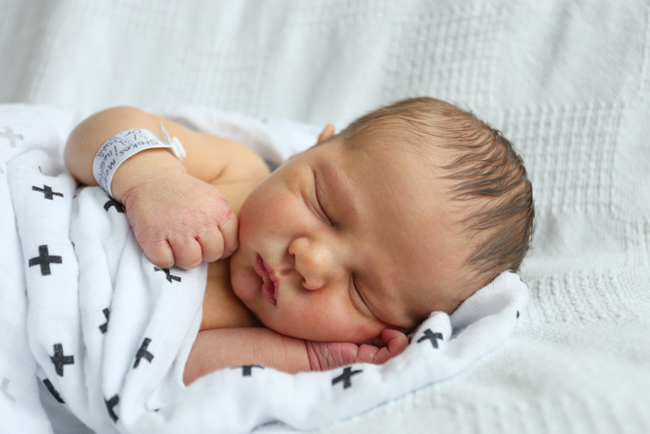 He was born at 9:24am on Thursday, March 31st, weighing 8 pounds 7 ounces, 21 inches long. Watson is my mom’s maiden name and Stafford is Brandon’s mom’s maiden name. Whenever I say his name to myself, I think of my grandmother, Pat Watson, who passed away about four years ago. I miss her dearly. 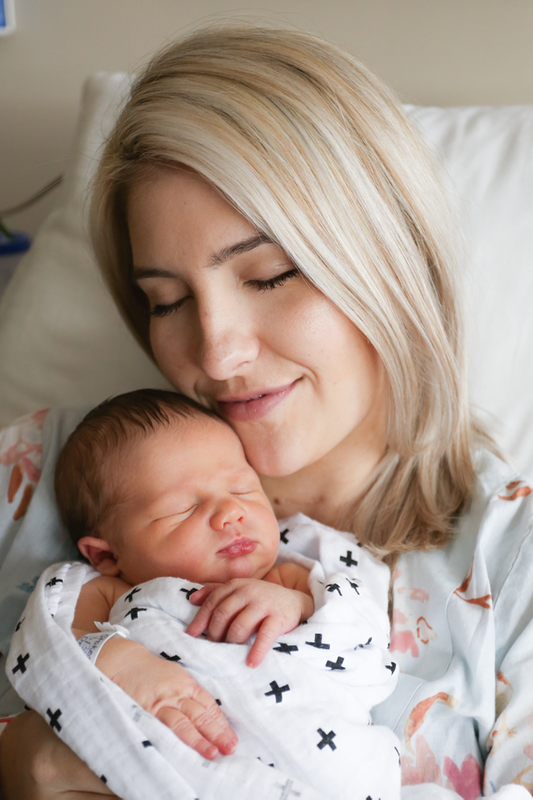 Watson was born four days early—and I was so ready for him to arrive, so I’m thankful he came when he did! Here’s the story of how he got here. It was Wednesday, March 30th when I went into labor. I felt pretty great that day and got the urge to get some last minute things off of my to do list, like dropping off packages at the UPS store, doing a Target run, and making a return at Marshall’s and one at Best Buy. I got home around 4, rested a little, and then went for a walk, just trying to get things moving. I even had a series of exercises I would do about twice per day in that 39th week—5 low impact jumping jacks, 5 lunges, 5 hula hoop motions to the right, 5 squats, and then 5 hula hoop motions to the left! So I came in and did that, too! Brandon was working late (trying to get ahead a little in preparation for baby’s arrival), so he didn’t get home until about 9pm. We sat at the table eating a late dinner (Taco Bell of all things. Remember we still don’t have a kitchen.) and as I was loading the hot sauce on my tacos, we were talking about when we thought Watson would arrive. 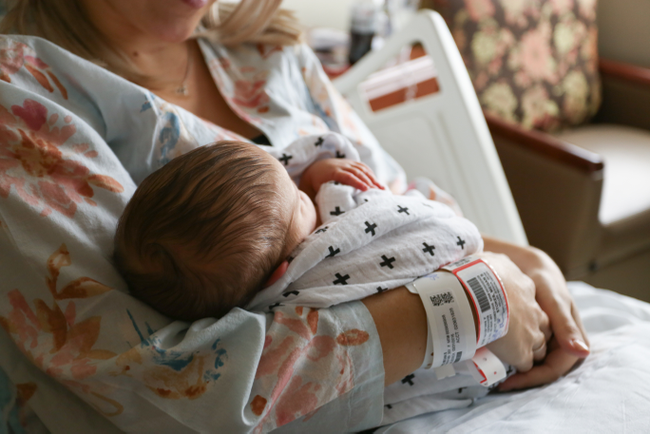 I hadn’t felt any contractions that evening and was feeling a little discouraged that he was waiting another day to meet us. Then I got up to put something in the refrigerator and as I did, I felt a contraction! It felt a little different than the others… I felt it much lower in my belly than the braxton hicks I had been having, which were all at the top of my belly. We immediately laid down on the bed and started timing them. They were very mild and not painful at all, but they were coming three and a half minutes apart from one another and lasting between 45 seconds and 1.5 minutes each time. There were no contractions 15 minutes apart or even 10 minutes apart, which I had read would happen as they got started! We let the contractions play out for half an hour and when I saw the consistent pattern, Brandon called the answering service at my doctor’s office, who then notified the doctor on call to get in touch with us asap. We got to the hospital around 11:30pm and I was 3cm dilated. The doctor on call wasn’t my doctor, but was my other favorite at my OBGYN practice, so I was really happy about that. She let me know we were staying and going to have a baby, then offered an epidural. I went ahead and accepted since they said it would probably be about an hour before that doctor could get to me. I’m thankful I accepted when I did because my contractions were definitely strong at that point! Then, while waiting for the epidural, my water broke, which made me so happy that it happened on it’s own. It was then about 1:30am at this point and our families started arriving. We all hung out in the delivery room until close to 4am, when we decided to try and get a little sleep (I didn’t!). But throughout all that time, I was just as smiley as I could be. The epidural kept me from feeling any pain, so I felt absolutely great all during this time and was having the best time knowing we were so close to meeting our baby boy. Skip forward to about 7:30am and I was 9cm dilated. The shifts changed at this point and I was greeted by my own doctor. She had been on vacation and this was her first day back at work— guess Watson was waiting for her! We had our families come back in and hang out during that last hour of waiting to get to 10cm. Once I was completely dilated, the nurses got me all ready to push and a quick 24 minutes later, Watson was in my arms! My entire labor experience was amazing. I honestly wish I could go back and do it again because I know I will never have a moment in my life quite like it. 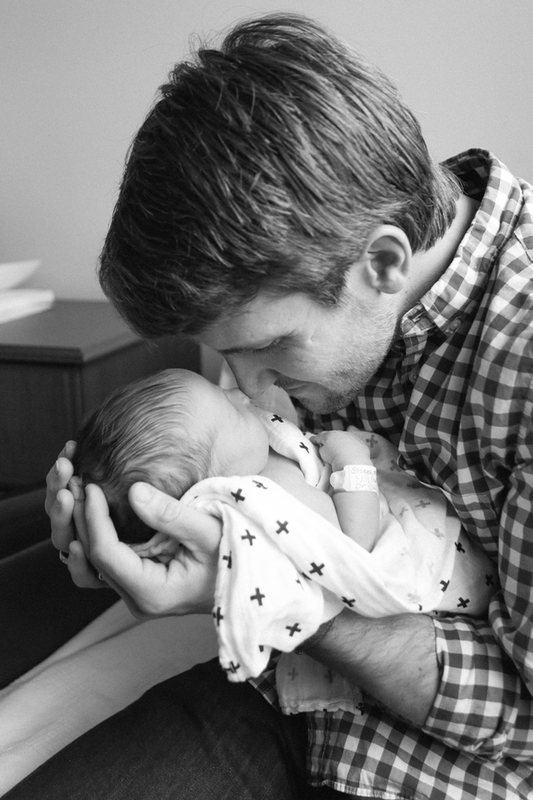 Even though I know having our next child will be special in it’s own incredible ways, it won’t be quite the same as becoming a parent for the first time. Experiencing such a special blessing from God… finally seeing our own flesh and blood in real life and holding him in my arms in those first moments. It was so raw and beautiful—and like I mentioned before, something I just couldn’t have ever prepared myself for. I just wish I could bottle up that feeling and feel it whenever I want. It’s indescribable. Thank you so much for your sweet comments on instagram since having Watson! And thanks for waiting around for me to finally post on this blog again! I don’t know if I’ve ever taken 2 weeks away from posting before, but it was so nice to have a little time away to spend with our little one. Coming up soon… a kitchen renovation update, Watson’s nursery reveal, new mommy favorites, and some spring fashion finds! Congrats! He is so precious. I'm due on Sunday but still not dilated and pretty sure she's going to be late. As ready as we are, I know all that matters is that she's healthy. But this gives me a little hops that although I still feel pretty normal maybe she will still be on time…you just never know :). Enjoy your time with that sweet boy! Love how you came up with his name too. So special. So happy for you! He is so perfect and beautiful and you and Brandon are glowing – so sweet! I laughed out loud so hard about your determination to dry your hair — can't blame you at ALL on that one! (I was buying sandals after my water broke, so I empathize too.) 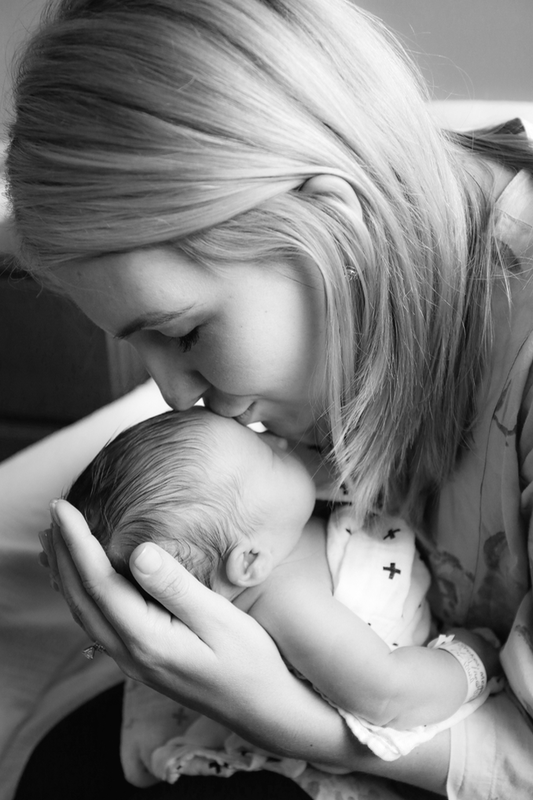 Love love love this birth story — I echo your sentiments on all of it. Becoming a mother is such an enormous blessing of an experience!!!! Hope these weeks of assimilating to motherhood have been nothing but wonderful to you! Such sweet photos! Congratulations to you and Brandon; Watson is beautiful! Enjoy this special time and don't worry about taking time away 🙂 As much as I love your posts and look forward to them, you should take all the time to soak up being a new mom! He's perfect. So happy for you! PS- I can only hope to look as amazing as you looked just after giving birth! Congratulations! He is precious! Nothing like becoming a mom for the first time. Enjoy every second because it goes by way too fast. 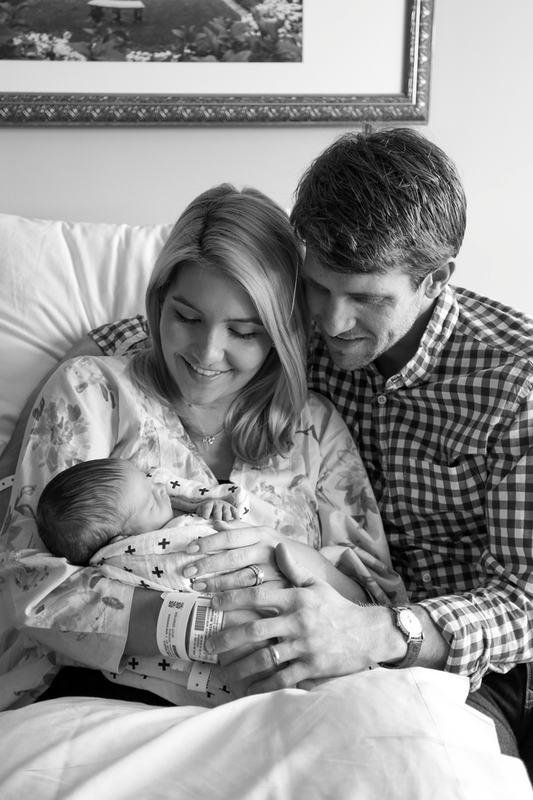 He's just beautiful, Megan…and so are you right after delivery! I am so glad all went smoothly for you…really focus on enjoying this time…it's gone in the blink of an eye. Your blog will be here when you are ready. Rest and take in all the baby snuggles you can get. This came at the perfect time! I'm due a week from Sunday and am feeling so many mixed emotions! You make it sound so easy, so while I am not able to have an epidural (eek! ), it still gives me some hope hearing your experience. Now I'd loooove to hear what essentials you packed in your hospital bag for you and for baby! I've had so many suggestions and done so much research that I feel as though I'm going to arrive looking like I'm staying for an eternity! Congratulations! How amazing that you had such a great labor and delivery! He's so precious and I hope you're enjoying every second! Amazing birth story! 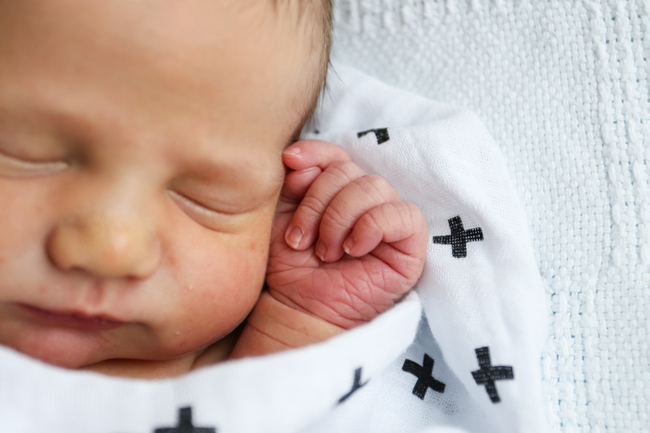 I absolutely love birth stories like this (and like mine) because it really shows that birthing a baby can actually be dare I say it – some what – enjoyable! It hurts like hell but with modern medicine and a will to push – it's an amazing and beautiful experience. Congratulations! Congratulations!!! Watson is adorable and I'm so excited for your new family of 3! Such a beautiful story. Watson is so handsome and you are glowing. I am so happy that things are going well and your blog readers totally understand why you took some time off. I would have dried my hair too 😉 God is good and what a beautiful blessing he delivered to you and Brandon. Congrats on your sweet Watson! These pictures are amazing and you look stunning. I just found out that I am pregnant with a sweet baby BOY! I am so excited. I've been going back through all your posts for advice and inspiration. I'm now praying that my labor story will be exactly like yours! Congratulations again!! 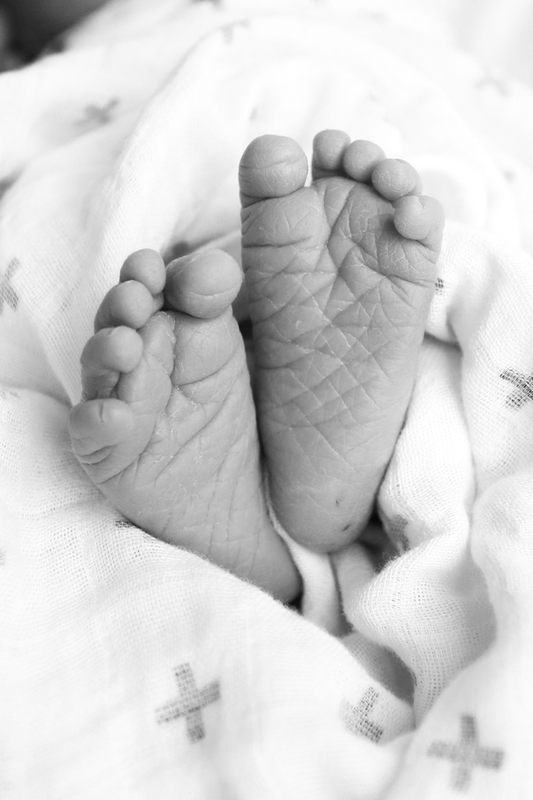 Love reading birth stories and yours sounds like it was amazing! I was induced so honestly mine was a breeze as well! Although I'm a bit jealous of your 24 minutes pushing, I had to push for 1.5 hours! Enjoy these newborn days. Its hard being a new mom trying to figure it all out but I find myself missing those sweet moments all the time! Congratulations! He is so precious! I follow you on Instagram and was so excited when I saw the photo of you in the hospital bed ! I knew you would be over joyed with the sweet arrival of Watson ! He is adorable. Sooo sweet! Beautiful story and photos, thank you for sharing! Love that baby blanket too!! Love his sweet family name! I'm due next week with my 2nd- such an exciting time!! Congratulations! May God bless all of Watson's days. Congratulations! NOTHING better than a sweet baby boy. Baby boys are for mamas! He is precious!!! And you look great!! I'm due in 8 weeks — question: who took the pics of Watson (I think at the hospital?) Just curious! 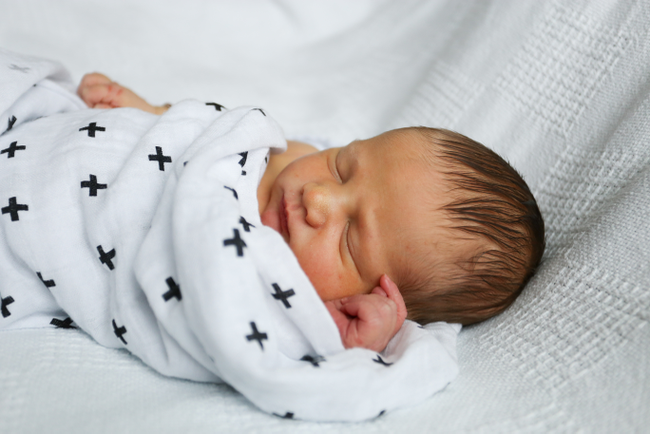 We have been trying to book a newborn session but the prices are insane and wondering if you had some tips for good pics since your pictures are always great? Congrats again! !